With the growing popularity of automatic transmission cars in India, many of the car makers are investing to launch cars with an auto transmission box. Starting with the sub compact sedans to full-fledged SUVs, car buyers of today have a wide collection of cars with automatic transmission to choose from. Here we have listed some of the top selling sedans with automatic transmission under the 15 lakh price bracket. Maruti Suzuki Ciaz AT â€“ Indiaâ€™s favourite car maker Maruti Suzuki has been able to place a strong hold in the m id segment sedan category with the launch of its Ciaz. 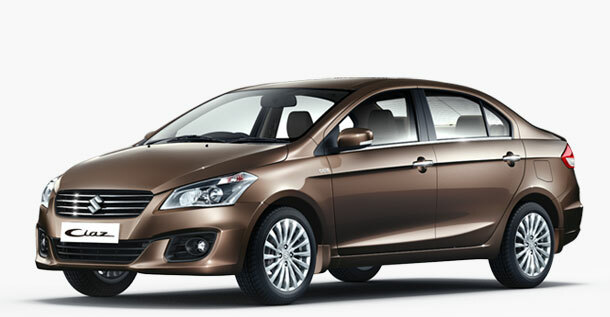 Maruti Suzuki Ciaz is a complete package packed in with features and quite a practical option to buy. The car also gets a very effective 4 speed automatic transmission system in the mid and top of the line models, which has equipped this car to take on against its competition. Maruti Suzuki has offered the automatic transmission only in the petrol models that feature the company’s trusted 1.4 litre K 14B VVT engine that is capable of producing 91bhp power and developing 130Nm of maximum torque. This car is priced between 8.76 lakh to 10.13 lakh (ex-showroom price, Mumbai). Ford Figo Aspire DCT â€“ The Figo Aspire from the house of Ford proved to be the real game changer wh en it was launched in India during early 2015. The Ford Figo Aspire was the first car to roll out of the new plant of Ford in Sanand, Gujarat and it came with some features that were not only new but also first in its class. Some of those features included 6 airbags and a 6 speed Dual Clutch Auto Transmission box. This transmission unit only came coupled with the powerful 1.5 litre petrol engine of Ford Figo Aspire and is capable of generating power of 110bhp with a peak torque of 136Nm. The Figo Aspire costs between 5.48 lakh to 8.91 lakh (ex-showroom, Mumbai). Skoda Rapid DSG -Â Skoda Rapid is one of the oldest car models on offer in this list but that is simply becau se the car comes with a very powerful and efficient automatic transmission system which is the same as Volkswagen’s tried and tested 7 speed Direct Shift Gearbox (DSG). Skoda has plans to soon launch the face lifted edition of the Rapid that comes with some cosmetic changes as well as design upgrades. Both the current edition as well as the upcoming version of Rapid comes with the 7 speed DSG that will be coupled with the car’s very popular 1.5 litre TDI engine that delivers a maximum of 104bhp power and maximum torque of 250Nm. The DSG units offer for a smooth driving experience as well as precise shifting, which makes the Rapid one of the best automatic sedans which is priced around 7.79 lakh to 11.96 lakh (ex-showroom, Mumbai).